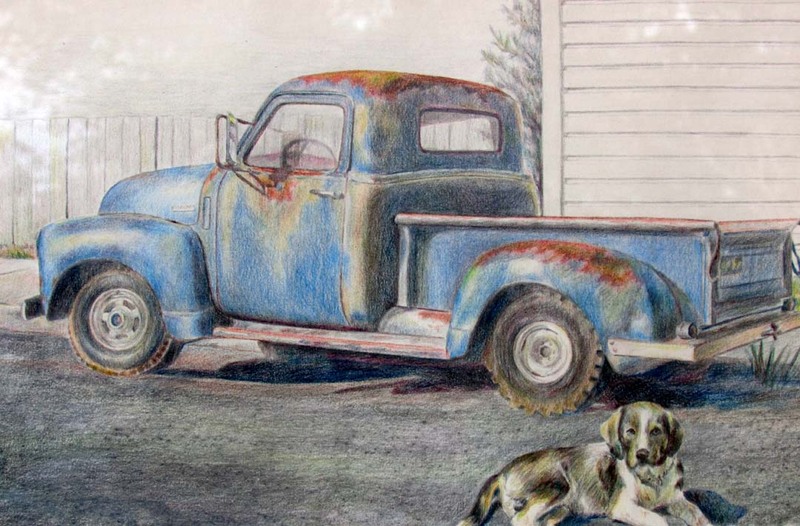 Colored Pencil Drawing of an Old Blue truck and dog. “Old Blue” could be the name of either one. 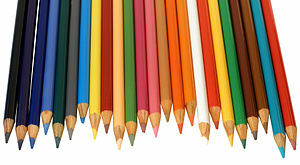 A Colored Pencil Drawing Class taught by Artist Penny Fregeau is scheduled to start at the Fortuna Fabric & Crafts store on Tuesday nights from 6:30-8:30 PM starting April 16th. The class will run for six weeks ending on May 28th. All skill levels are welcome. The cost of the class is $100 plus materials, which are available at the store. Age level – preteen through adults. For more information please contact Fortuna Fabrics & Crafts at (707)725-2501.